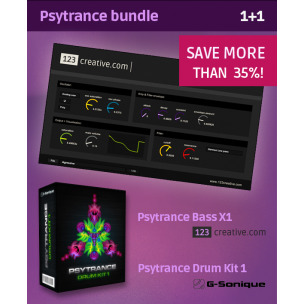 Consists of 1 synthesizer and 1015 samples not only for Psytrance music producers! 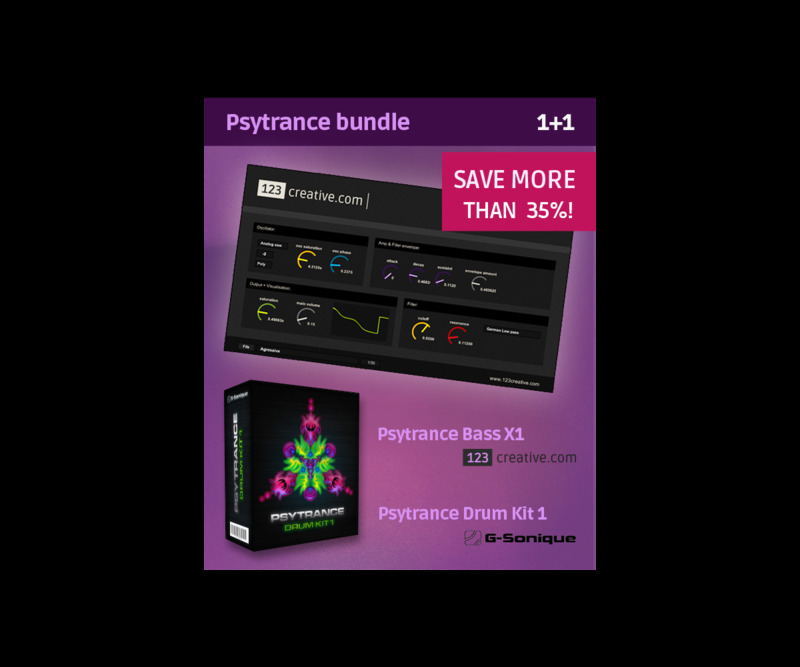 Psytrance Bass X1 is bassline synthesizer that allows you to create perfect sounding bass within one minute. 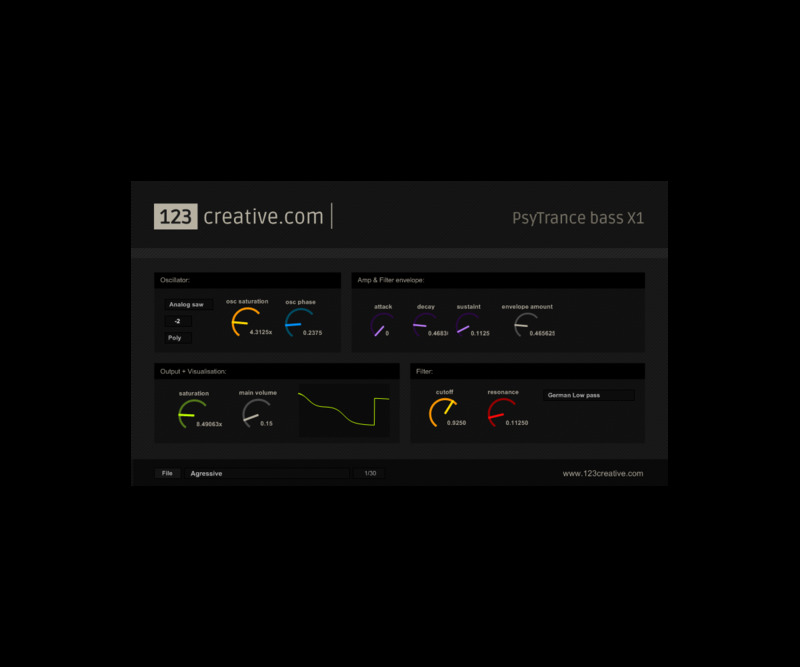 While very simple synthesizer, it allows you to create hundreds of different sounding basslines thanks to 4 oscillators, phase knob, osc saturation, 4 different low pass filters and more. 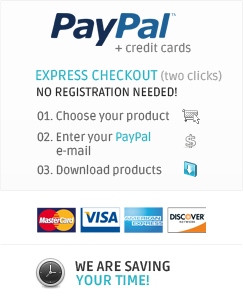 • "I already installed your Psytrance Synthesizer and it is really, really useful for making the right sounds for psytrance.."